A 10-cent pill doesn’t kill pain as well as a $2.50 pill, even when they are identical placebos, according to a new study from Duke University. The researchers used a standard protocol for administering light electric shock to participants’ wrists to measure their subjective rating of pain. The 82 study subjects were tested before getting the placebo and after. Half the participants were given a brochure describing the pill as a newly-approved pain-killer which cost $2.50 per dose and half were given a brochure describing it as marked down to 10 cents. 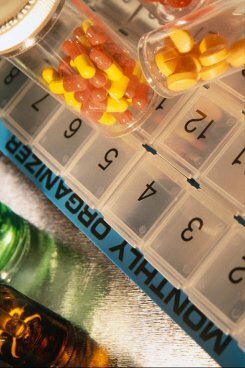 In the full-price group, 85 percent of subjects experienced a reduction in pain after taking the placebo. In the low-price group, 61 percent said the pain was less. The finding points to a host of larger questions, note the researchers in theJournal of the American Medical Association. “Physicians want to think it’s the medicine and not their enthusiasm about a particular drug that makes a drug more therapeutically effective, but now we really have to worry about the nuances of interaction between patients and physicians,” said Dan Ariely, a behavioral economist at Duke University. Ariely said the results fit with existing data about how people perceive quality and how they anticipate therapeutic effects. Perhaps more interesting is the combination of the price-sensitive consumer expectation with the well-known placebo effect of being told a pill works. 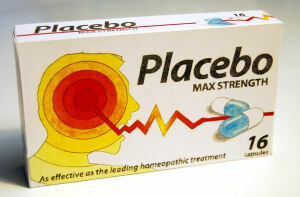 “The placebo effect is one of the most fascinating, least harnessed forces in the universe,” he noted. At the very least, doctors should to use their enthusiasm for a medication as part of the therapy. “They [doctors] have a huge potential to use these quality cues to be more effective,” Ariely said.